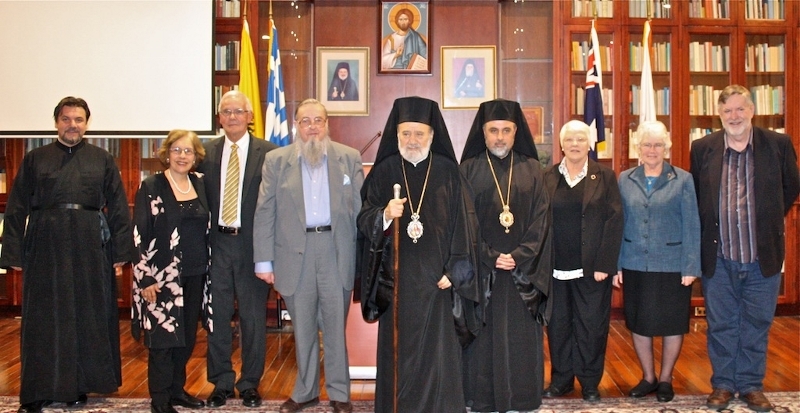 His Eminence Archbishop Stylianos, Dean of St Andrew's, and His Grace Bishop Iakovos of Miletoupolis (center); From L to R: The Very Revd Dr Doru Costache (Senior Lecturer in Patristic Studies, St Andrews), Professor Alanna Nobbs (Deputy Director Ancient Culture's Research Center, Macquarie University), Professor Raymond Nobbs (former Dean of the Sydney College of Divinity), Dr Guy Freeland (Honorary Lecturer, St Andrew's; author of Windows to Orthodoxy), Professor Diane Speed (Dean and CEO of the Sydney College of Divinity), Sr Dr Margaret Beirne (Senior Lecturer in Biblical Studies, St Andrew's), and Professor Jim Harrison (Director of Research, Sydney College of Divinity). 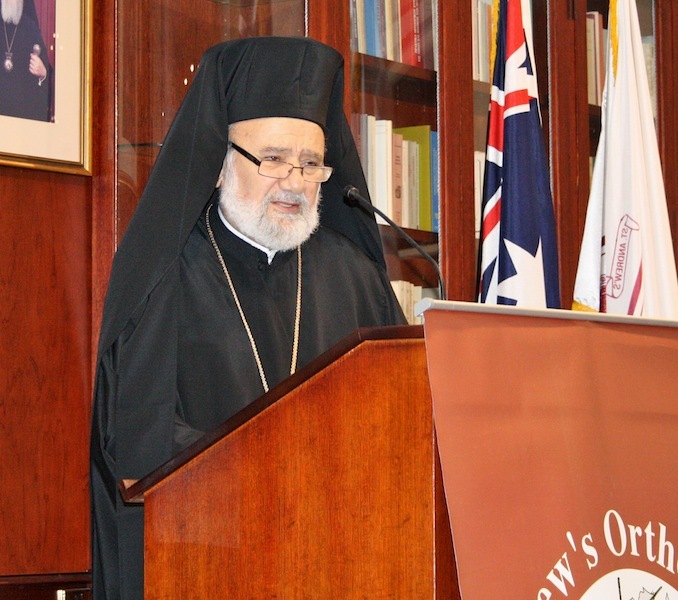 His Eminence Archbishop Stylianos, Dean of St Andrew's, and His Grace Bishop Iakovos of Miletoupolis during Dr Freeland's speech. His Eminence Archbishop Stylianos, Dean of St Andrew's, welcoming the distinguished guests and congratulating Dr Guy Freeland. 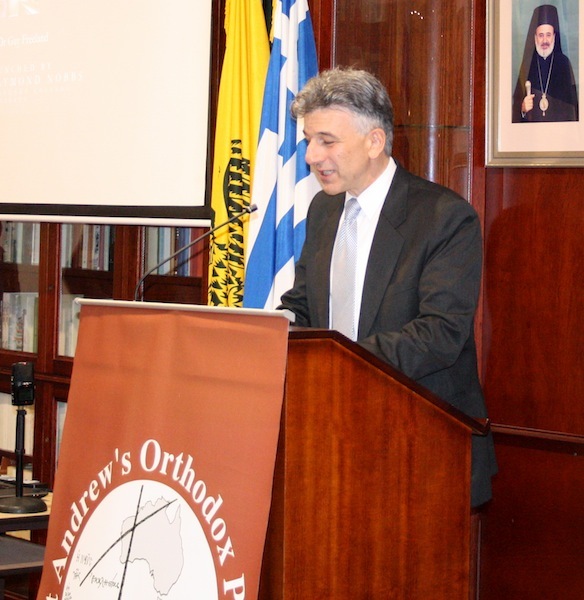 Mr Dimitri Kepreotes, publishing director of St Andrew's press, hosted the proceedings. 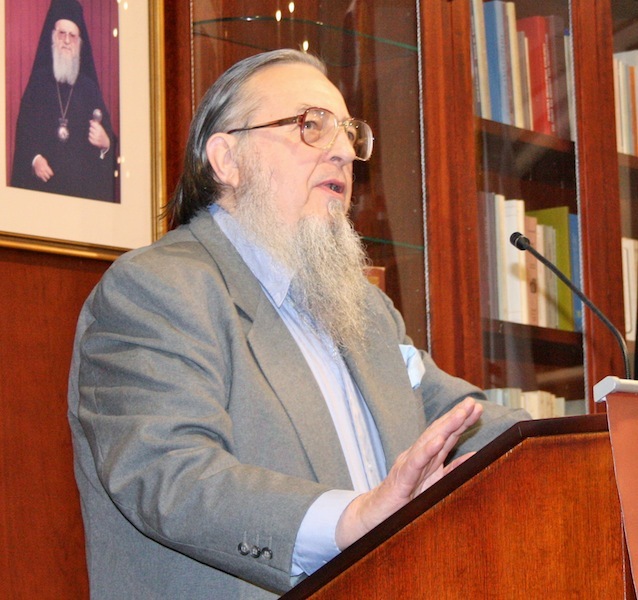 Mr Ikaros Kyriacou, editor-in-chief of The Greek Australian VEMA newspaper, describing the publication of the articles that now appear in Windows to Orthodoxy. 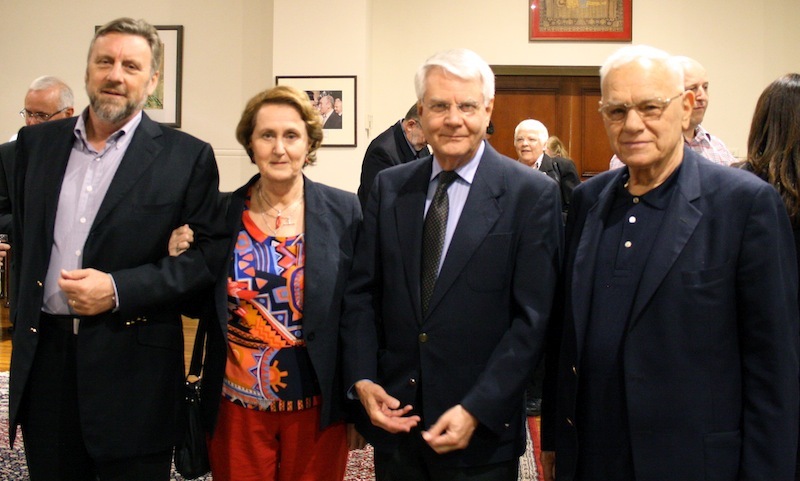 Professor Raymond Nobbs, former dean of the Sydney College of Divinity, launching Dr Freeland's book. Dr Guy Freeland, author of Windows to Orthodoxy, thanking the evening's speakers and everyone involved in the publication of the book. 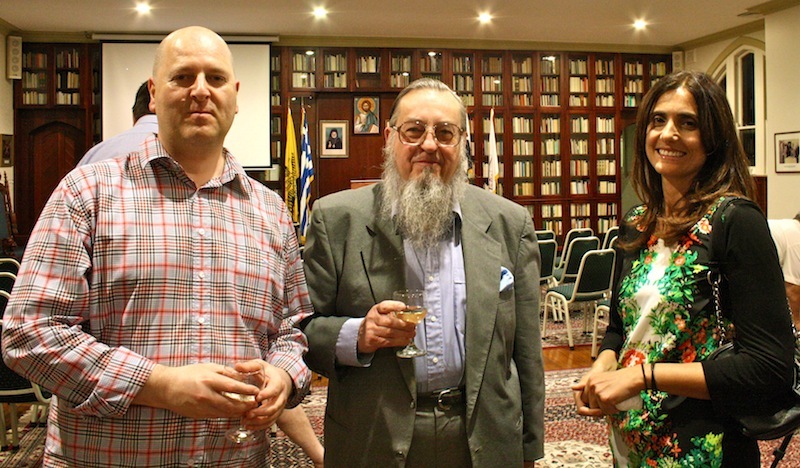 Mr Ian Michie (PhD Candidate, Macquarie University), Dr Guy Freeland (Honorary Lecturer, St Andrew's; author of Windows to Orthodoxy), Mrs Vicki Petrakis (PhD Candidate, Macquarie University). 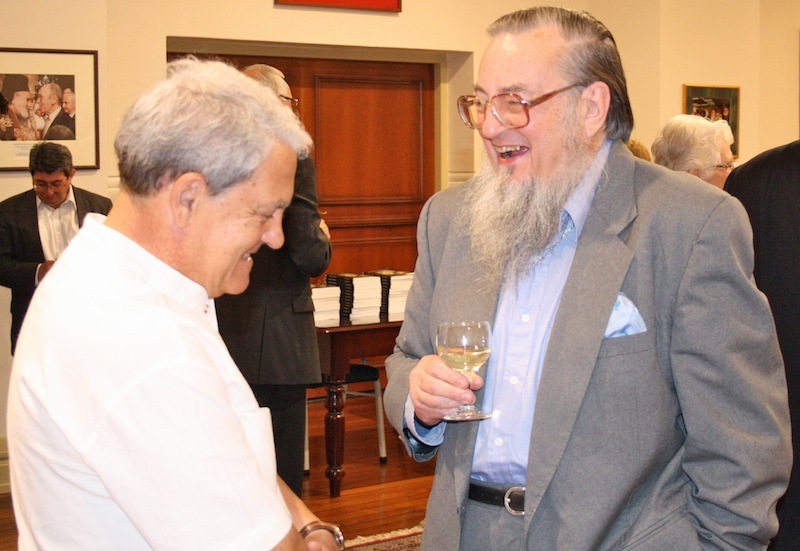 Dr Guy Freeland, author of Windows to Orthodoxy, with iconographer Michael Galovic, whose work appears in the book. 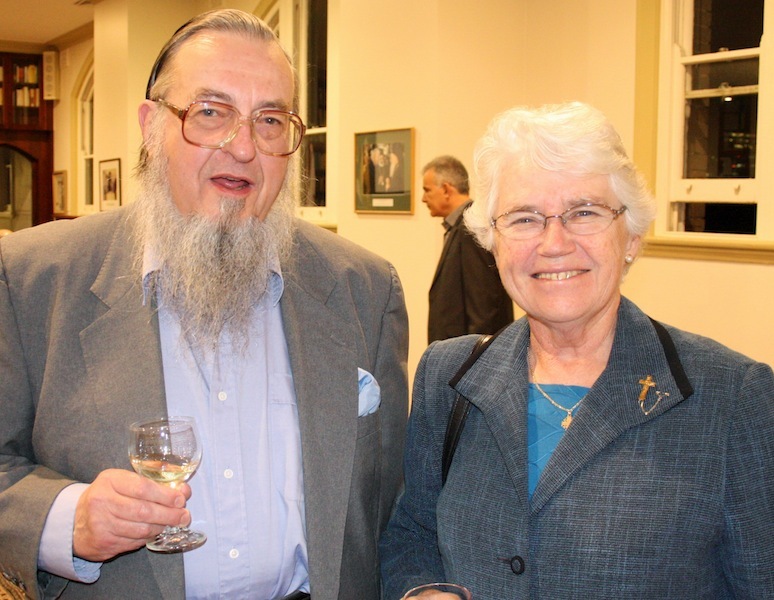 Dr Guy Freeland, author of Windows to Orthodoxy, and Sr Dr Margaret Beirne (Senior Lecturer in Biblical Studies, St Andrew's). 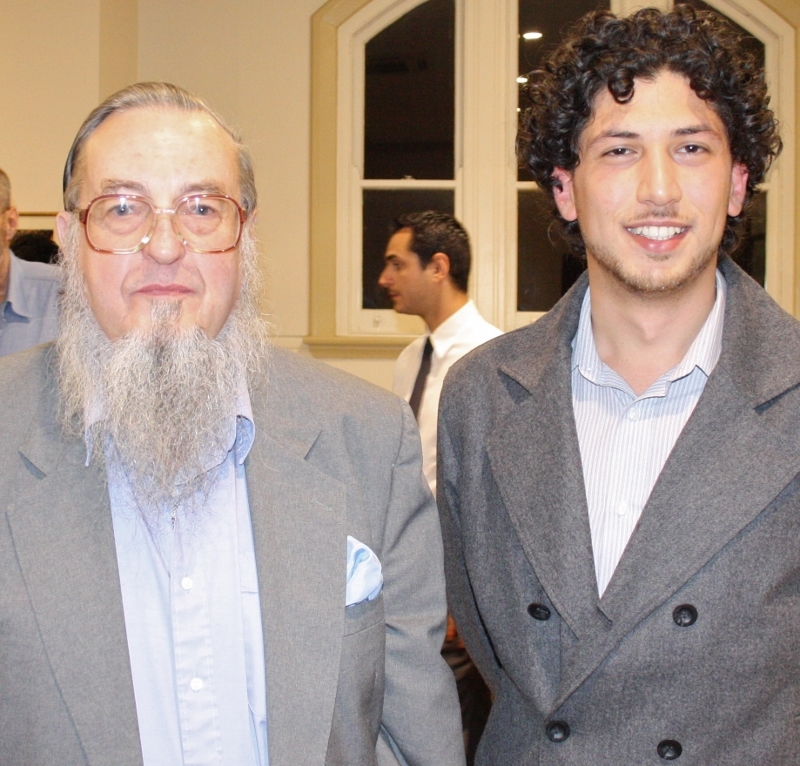 Dr Guy Freeland, author of Windows to Orthodoxy, with St Andrew's student Mr Chris Baghos, who reviewed Dr Freeland's book for Phronema 28:2. 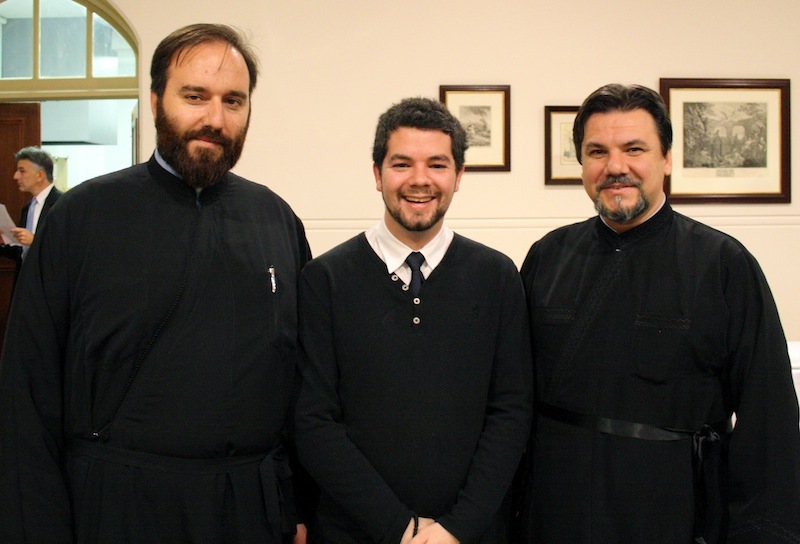 The Very Reverend Archimandrite Sophronios Konidaris (Chaplain, St Andrew's), Mr Stefan Mastilovic (BTh student), the Very Reverend Dr Doru Costache (Senior Lecturer in Patristic Studies, St Andrew's). 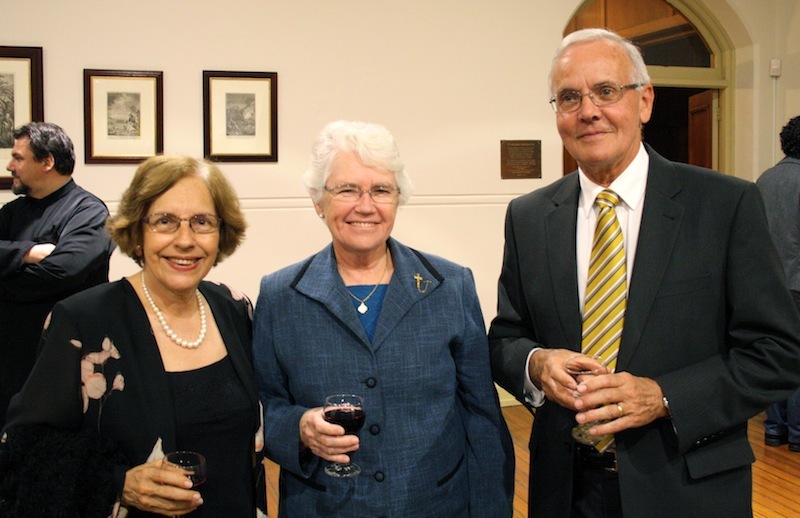 From L to R: Professor Alanna Nobbs (Deputy Director Ancient Culture's Research Center, Macquarie University), Sr Dr Margaret Beirne (Senior Lecturer in Biblical Studies, St Andrew's), Professor Raymond Nobbs (Former Dean of the Sydney College of Divinity). 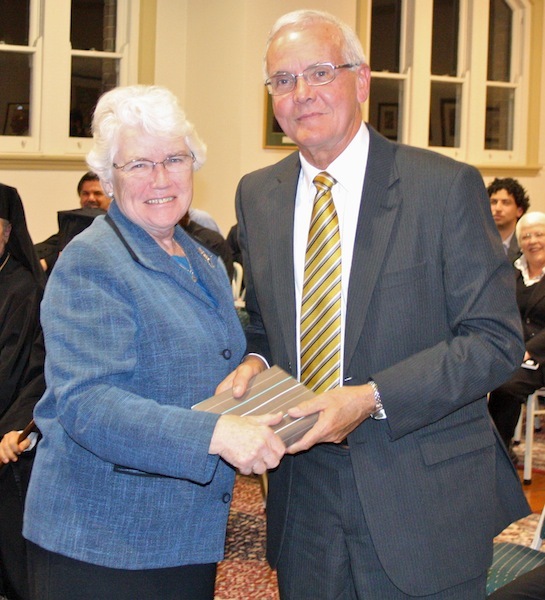 Sr Dr Margaret Beirne presenting Professor Raymond Nobbs with a gift on behalf of St Andrew's Orthodox Press and the College in gratitude for launching the book. Assoc. Prof. John A. L. Lee FAHA with guests at the book launch. 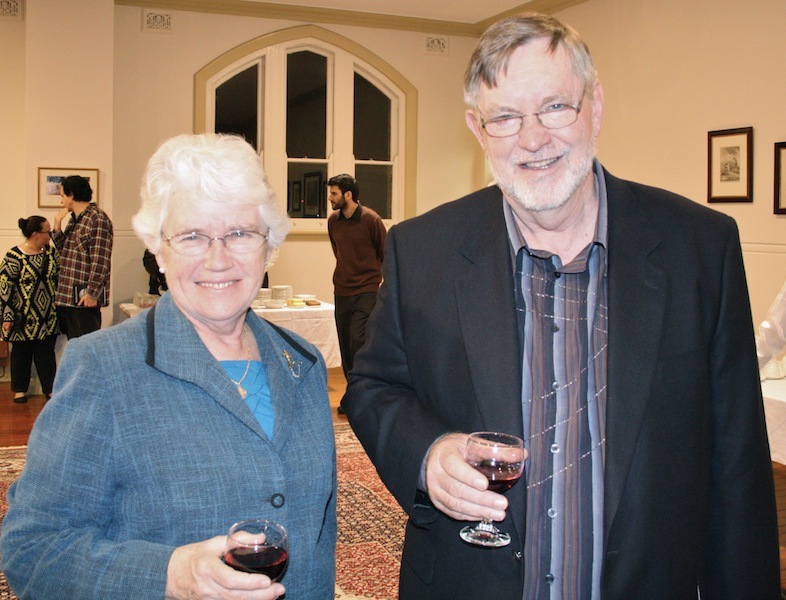 Sr Dr Margaret Beirne (Senior Lecturer in Biblical Studies, St Andrew's) and Professor Jim Harrison (Director of Research, SCD). 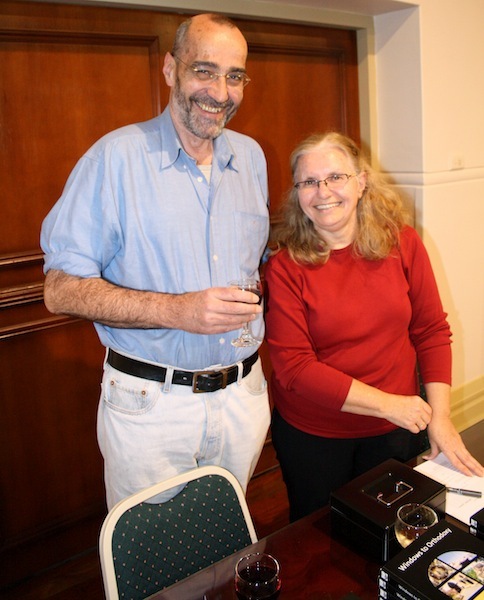 Mr Chris Harvey (Librarian, St Andrew's) and Mrs Zorka Simic (Library Technician, St Andrew's). 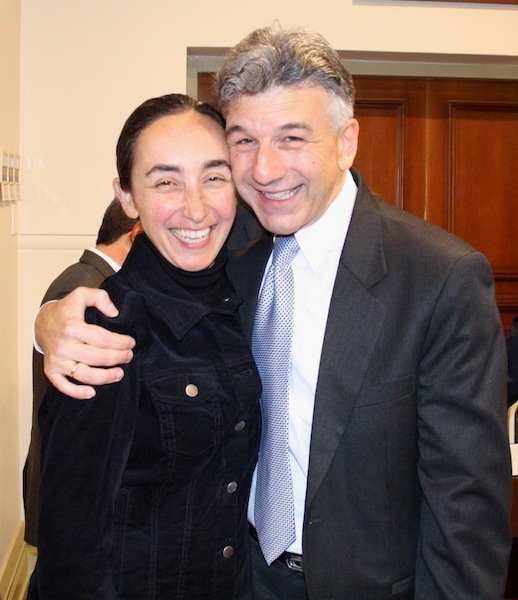 Mr Dimitri Kepreotes together with his wife, Eleni. 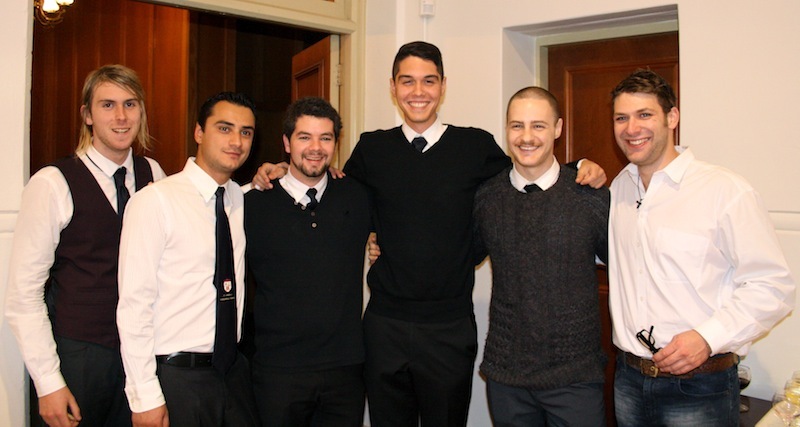 St Andrew's seminarians: Mr Esaias Michael, Mr Nikos Georgiou, Mr Stefan Mastilovic, Mr Milan Stanimirovic, Mr Dimmitri Chrestou, and Mr Markellos Margellis. 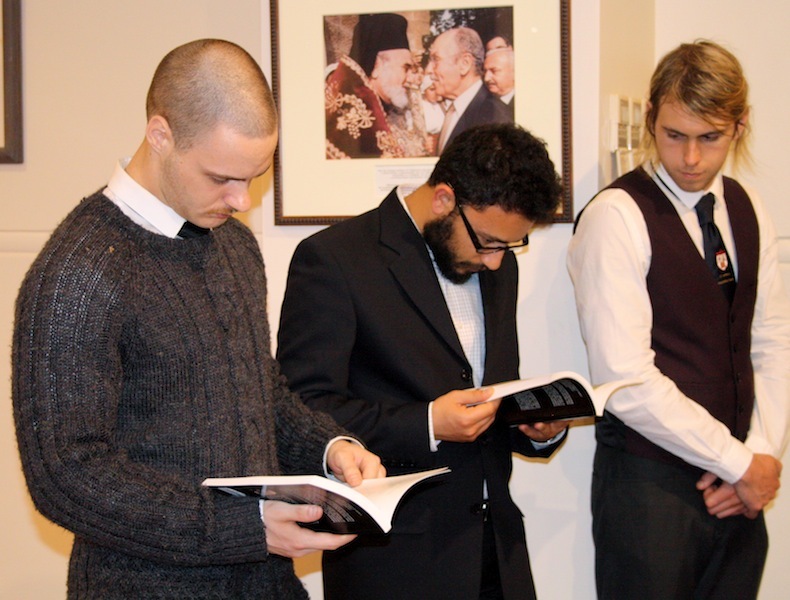 Seminarians Mr Dimmitri Chrestou and Mr Michael Coursaris exploring Windows to Orthodoxy. Photos by Mr M. Baghos. 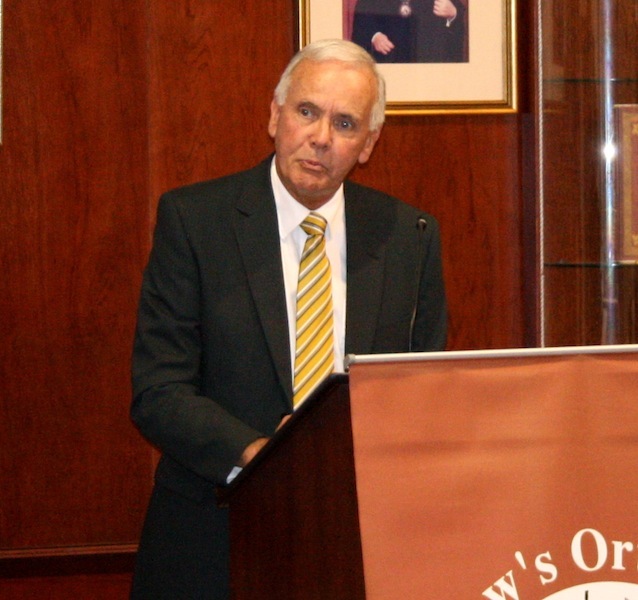 Dr Guy Freeland's book Windows to Orthodoxy, a collective volume of essays published between December 2001 and October 2009 in the English supplement of The Greek Australian VEMA newspaper, was launched to much acclaim on the 30/08/13 in the main hall of St Andrew's Greek Orthodox Theological College by Professor Raymond Nobbs, former Dean of the Sydney College of Divinity and long-time friend of St Andrew's. Accompanied by His Grace Bishop Iakovos of Miletoupolis, His Eminence Archbishop Stylianos, College Dean, opened the event with prayer before congratulating Dr Freeland and welcoming everyone present, including distinguished representatives from the Sydney College of Divinity Professor Diane Speed (Dean and CEO), Professor Jim Harrison (Director of Research), together with Professor Alanna Nobbs (Deputy Director Ancient Culture's Research Center, Macquarie University) and St Andrew's faculty. 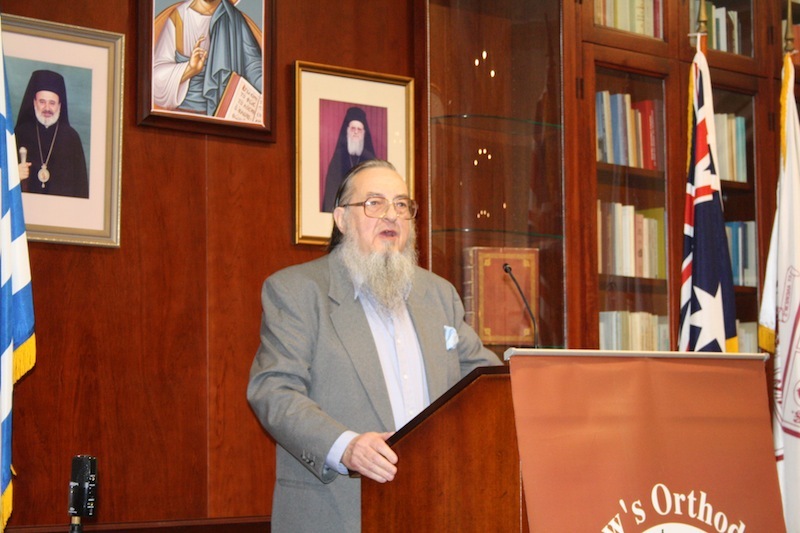 Before turning over to Mr Dimitri Kepreotes, publishing director of St Andrew's Orthodox Press and host of the proceedings, His Eminence poetically reflected that Dr Freeland, through his commitment to Orthodoxy, has not merely glanced through its (i.e. the Church's) "windows" but has entered through its "royal doors." 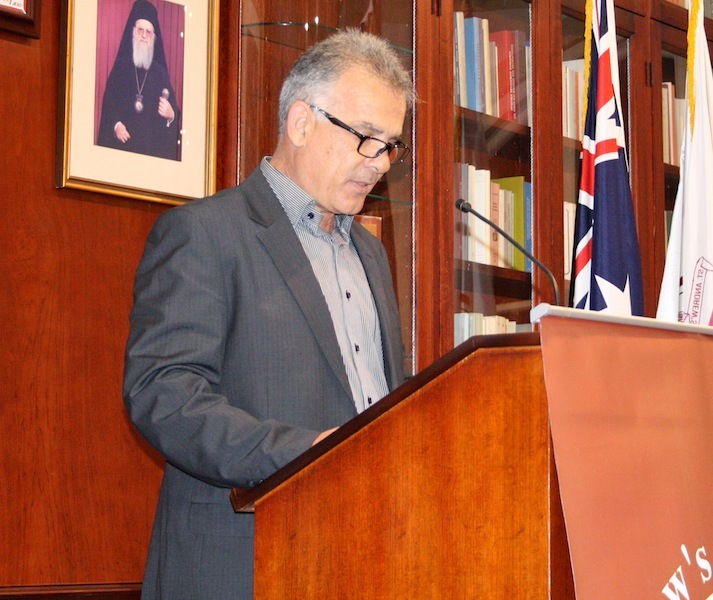 Mr Kepreotes then gave brief reflections on the publication process before turning over to Mr Ikaros Kyriacou, editor-in-chief of The Greek Australian VEMA, who shared his experience of publishing the articles that comprise the collected essays in Windows to Orthodoxy over the past several years. Professor Raymond Nobbs then officially launched the book, signalling various aspects of its content and praising Dr Freeland for his style and the book's relevance for contemporary audiences. Finally, Dr Freeland took the stage, likening the concept of a 'book launch' to a boat which, having set sail, no longer belongs to the ship's craftsmen, but to the world around it. 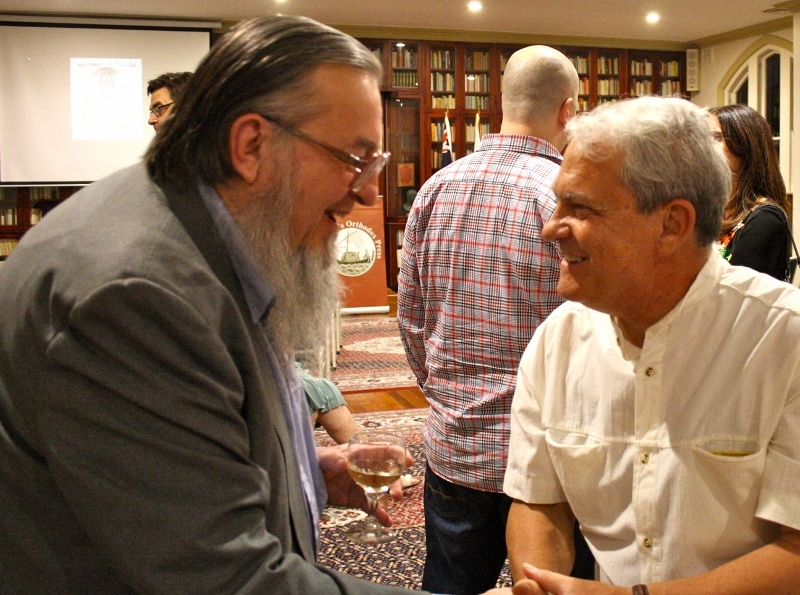 In the same way, Dr Freeland affirmed that his book now longer belongs to himself, but to its readers, and he warmly thanked His Eminence, the speakers, those involved in the publication of the book, and everyone present.